I can handle this "Goku" clown! He's just a Martial Artist you said? HoloSith like to posture, build superweapons, and otherwise show just how cool and evil they are. After all, that is how it is done in the holos. But there is a rare breed of Sith out there in the Galaxy that is above that. Not for ethical reasons, but because such things are beneath them. They are larger than life. They are loud. They are strong. They are the stuff of legends. They are the Iron Sith. The Iron Sith take their name from the Galactic “Iron Man” competition – held once every four years, on whatever secluded planet is crazy enough to put up with it for the sake of the publicity and income. There the biggest, toughest, and most brutal unarmed fighters of the galaxy converge to test their strength, their speed, and their endurance against mighty weights, horrific obstacles and – eventually, for the best of the best – each other. While actual deaths in the competition are far rarer than the hype and stories of past tournaments would have it, they do occur – and the property damage is often massive. You don’t HAVE to be a force-user, much less one utterly dedicated to raw physical power, to enter (or even to win) – but the winners are almost invariably drawn from the ranks of the Iron Sith since the “cyborg tank” tactic was banned some millennia past and the entire Glaive “faction” was banned for excessive drug use. The winner – whether a force-user with a chip on his or her shoulder, an armor-plated heavy-gravity creature, some freak of nature, or an Iron Sith – will find prizes galore, fame, groupies, and instant status as a pop-culture icon free for the taking. Even if the reputation of the contest is overblown and only a fraction of the possible contestants actually come, having a plausible claim to being “the toughest sapient being in the galaxy” is pretty impressive. Iron Sith do not build superweapons to destroy planets. That would imply that they need a ridiculous contraption to destroy a planet as opposed to simply sneezing too hard. Of course, actually punching out a planet would imply that they have something to prove to others, which is ALSO ridiculous. Massacre civilians? Why waste their exquisite skills on such unworthy targets? Far better to fight an epic duel with the towering monstrosity from an unknown world! Now if some innocent bystanders get caught in that battle, well that is their own damn fault. They should have known enough to leave the fighting to someone truly capable of such things! 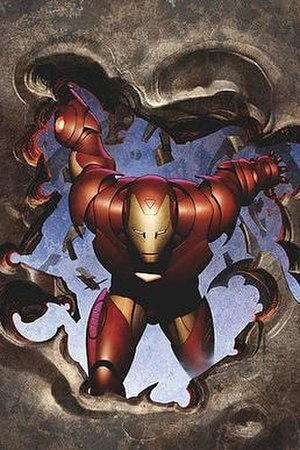 The deeds and skills of the Iron Sith have become parts of popular culture as major icons of strength, power, and ridiculously over the top “factoids”. Endless debates on the galactic network over who could beat who in a fight, and how much collateral damage might result from it, waste countless trillions of hours that might otherwise be devoted to doing something productive. The Chan Naldor (a three-time galactic champion) jokes alone could be counted as a major industry. Some Iron Sith are heroes, others are villains, but the vast majority are confident in their strength and have no need for the labels society wishes to place on them. To be concerned with the perceptions of others would imply that one isn’t tough enough to be a true Iron Sith. HoloSith feel the need to show everyone just how powerful they are, Iron Sith just take it that you should know. In practice, Iron Sith are as varied as most any other “faction” of Force users in the Galaxy – but a few things are seen as common across most of them. For the most part they are big. Whether naturally, via exercise, or augmentation, most Iron Sith are very well built and capable to impressive feats of strength even without Force powers. They have rippling muscles, are prone to “macho” feats (whether they’re male or female), and often flex hard enough to rip their clothing. They like to use their bare hands – or, at most, unpowered weapons such as clubs – in combat. Powered weapons, lightsabers, blasters, and explosives are things meant for those unable to defend themselves properly. Some Iron Sith merely wander the galaxy, taking whatever they want from whoever they want through intimidation and brute force. Others will work “jobs” in exchange for a lifestyle suited to their tastes and never take that which can be earned. A good number are supported as spokesmen and endorsers for various corporate products catering to the tough guy demographic. Still others are noted for their extensive exercise and martial arts franchises. Regardless of their lifestyle, however, they rarely if ever turn down a challenge. NEVER use armor, powered weapons, or shields, even if they happen to be involved in starship combat – although even they will resort to breath masks if the local atmosphere is TOO corrosive. Must subtract their Control force skill (plus their dark side point total, if any) from willpower checks to resist any appropriate challenge (once the total goes negative, they’re inclined to find challenges where none actually existed). On the upside, they may automatically add their Control force skill – along with their dark side rating and any applicable force strength specialty – to any strength check, including those to resist damage. If you do have to fight an Iron Sith, it’s usually easier to redirect them towards a more exciting challenge than it is to injure them. As a general rule, the Jedi ignore Iron Sith. They have more important things to do than to go chasing a crazy hermit who spends his time shattering boulders with his forehead. The Iron Sith may occasionally wreck buildings, but they also sometimes save people – and they’re no real threat to the Republic. Most other Sith also attempt to ignore the Iron Sith. They’re usually so easy to manipulate that anyone can do it – which means that no one can do it successfully for long unless you stay by their side to keep talking.